Halloween is a mere 49 days away! 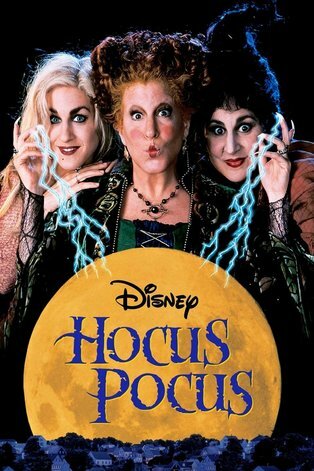 I can't wait to have a Hocus Pocus themed Halloween Party! Any volunteers to be the "Mary" and "Sarah" to my "Winifred"? Halloween Decorating doesn't have to be expensive. ​Here are some great ideas to get you started. #27 Don't Judge a Book by it's Cover! So here is something I have been wanting to try for a while. This craft is so easy and there is no end to the cool things you can do! I already have about 10 ideas for more books in my mind! For my first two attempts, I decided to go with replicas from movies I like. DIY spooky Halloween Mirror | NoBiggie.net - learn how to make this spooky Halloween mirror with things you probably have around the house. What do you get when we combine an old black and white photo and a mirror? - A spooky mirror for Halloween. Cloches are often used in home decor. While they are very beautiful, they can also be very pricey. Here is a great diy version that I found on pinterest. Unfortunately the original post has been deleted, but I put together a short tutorial for you to make your own. Hang them from the trees in your yard or from the corner of the roof. I am part of the Make It Fun Team® with FloraCraft® and I thrilled that they helped make this post possible today. I love my job. It is truly the most fun job I have ever had! The other day I received a big huge package from FloraCraft® and as soon as I opened it up, I started giggling! Shut of the porch light and leave the witch's hat a glowing instead! Add a bit of whimsy to your Halloween Porch decor this year with these Floating Witch Hat luminaries! They even light up, making them a fun and only slightly eerie Halloween decorating idea. If you like this project, you might also like this DIY Halloween Wreath tutorial or this N0n-Candy Halloween Treat Idea (FYI: Images from this site are copyrighted. ​and/or Halloween inspired tricks or treats! Today, (actually by the time I get this posted it will have been yesterday) we laid my tiny grandmother to rest. She lived a very long (99 years) and sometimes difficult life. All of us grandkids knew her as "Grandma Birdie". At 4'9" (actually 4'8 and 3/4", but we didn't argue) she was a teeny, tiny, force of nature. My granddad called her "petit oiseau" (little bird) when he didn't think anyone was listening and sang "Don't Sit Under the Apple Tree" in French just to make her blush. Our biggest goal as a kid..."Be taller than Grandma." For some of us...we never thought that day would come. The tradition of standing next to Grandma Birdie to see if you were taller than her became generational as her great grandchildren started to do the same. That is until my youngest got down on his knees to give Grandma Birdie a hug and he was still taller than her. She called him a "smartass". We all burst out laughing "Grandma! You said a naughty word!" It was the first time they heard Grandma Birdie swear! She taught herself how to play the piano. Sundays meant sitting in the family room after church, singing while Grandma played the piano and Granddad played the banjo or guitar. The birds would flock to the giant willow trees behind the farm house and sing along with them, solidifying her nickname forever. My grandparents loved to dance. They floated across the dance floor. My granddad's graceful steps and my grandmother's complete trust in where he was leading her was mesmerizing. Life on the farm was hard work and we learned it well. My grandparents had a huge, HUGE garden. They taught me to grow and preserve my own food. It's the one thing I miss, living in town. I'm restricted by limited space. They raised chickens, rabbits, goats, cows, and Trinket the horse. Animals were to be respected and well taken care of. If you couldn't do that, you could expect my granddad's foot on your backside. After my biological mom was diagnosed with cancer, we spent a lot of time at the hospital. Back in the 70s and early 80s remission was rare. My mom was told to get her affairs in order as she had 6 months at most to live. Her 7 year 7 month battle to prove the doctors wrong and my grandparents worse nightmare had begun. My brother, sister and I were constantly being shuffled between our house, the farm, school, and the hospital. My grandmother taught me to embroider, crochet, and knit as we spent many hours sitting by my mother's bedside. My first scarf was 10 feet long. I gave it to my granddad who proudly wore it everyday for a month until my grandma, the ever thrifty and money conscience person said "we should shorten it and make 2 scarfs". We learned if someone takes that time to make you a gift, it should be treasured, as a person's time is always more valuable than money. 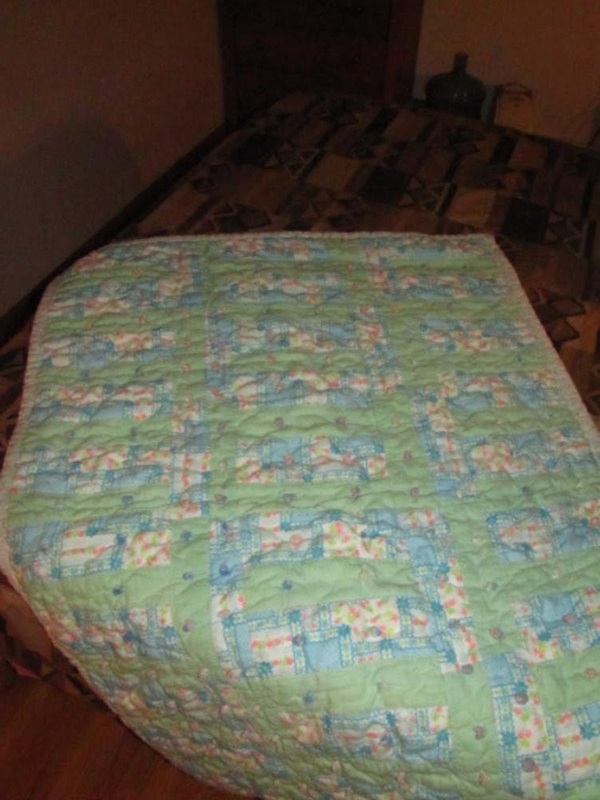 I still have the quilts she made for our sons when they were born. These will be passed down to my grandchildren. Don't get me wrong, my grandmother had her flaws. She could hold a grudge...for DECADES. She didn't talk to one of her sisters for over 50 years. To this day, I'm not sure what happened, to be honest after 50 years, I don't think they remembered the reason either. She changed after my mother passed on. The saying "no parent should ever have to bury their child" became her mantra. She never was able to let go of her grief. She became stuck, forever living in the past, while everyone moved forward. At times, in her grief, she could be cruel to those who loved her the most. She could be a bully, especially if it meant getting her own way. She had no problem voicing her opinion even if you didn't ask for it. As she advanced in age, her "brain-to-mouth" filter stopped working altogether and we were never sure what was going to pop out. Sometimes it was funny. Sometimes it was shocking. Sometimes...both. Through it all, the good, the bad and yes, even the ugly; she was and will always be "Grandma Birdie". Here is a gluten free version I recommend for my gluten-free friends. Pizza is one of my favorite meals. It's easy to make, super customizable and tastes great. But if you're avoiding gluten , finding a gluten-free crust that's still yummy can get be difficult. That's why I'm sharing my Flatbread Pizza Crust recipe. If you've ever made Gluten-Free Eggplant Flatbread Pizza, you're familiar with this one.